Cyn manages a broad range of waste streams to help our clients minimize risk and maintain compliance. These include non-hazardous and hazardous solids, liquids and sludge. We provide our clients with a comprehensive package of waste management services from pre-shipment characterization and approval to off-site disposal and/or treatment recycling. By Cyn Environmental Services based in Stoughton, MASSACHUSETTS (USA). By Herrera Environmental Consultants, Inc. based in Seattle, WASHINGTON (USA). Based on a site characterization reports, bioCycle engineers provide a design of the sewage treatment and polishing filter which can be submitted with your planning application. By bioCycle Ltd based in Dublin, IRELAND. NEI offers a wide variety of environmental services overseen by licensed professionals. Each team member takes pride in customer service and is continually educated on industry standards and up-to-date information in order to ensure quality work and client satisfaction. By NEI Environmental based in Yuma, ARIZONA (USA). In most environmentally impacted sites, HCR recommends and utilizes cutting edge drilling technologies acceptable to regulatory agencies for deploying the appropriate technical environmental application for significant improvements in site characterization and remediation. By Handex Consulting & Remediation, LLC (HCR) based in Winter Park, FLORIDA (USA). Site Characterization. Environmental Assessments. Hydrology / Groundwater Modeling. Environmental Engineering. Environmental Remediation. Site Closure. Environmental Monitoring. By ENGEO Incorporated based in San Ramon, CALIFORNIA (USA). GES has a reputation for expertly evaluating property and facility conditions and assessing risk and liability. We help our clients make informed business decisions by identifying the factors that can advance, challenge, or modify their business strategies, whether for a single property or an extensive portfolio. 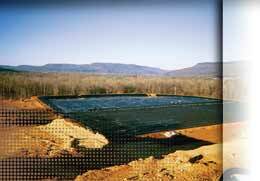 By Groundwater & Environmental Services, Inc. (GES) based in Neptune, NEW JERSEY (USA). Dade Moeller works with clients to strategically plan data collection, sampling, and analysis for environmental projects. We guide clients in determining the type, quantity, and quality of environmental data needed to balance risk and cost, and to support technically defensible decisions. GZA provides a wide range of environmental remediation services to meet the challenges presented by our diverse client base represented by industry, developers, institutions, legal and lending communities and public agencies. By Wilcox Environmental Engineering, Inc. based in Speedway, INDIANA (USA).